Europe’s premiere collector toy event, ToyCon UK has come and gone, but a few Super7 x The Hang Gang exclusive releases are available online! 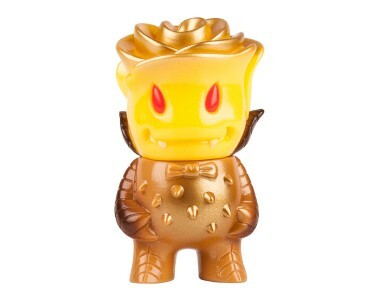 Check out the ToyCon Leroy C. and Pocket Rose Vampire! 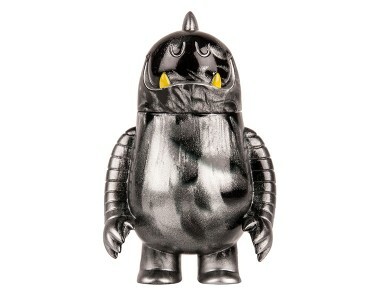 Designed by Invisible Creatures, this version of the might Leroy C. is cast in black and metallic silver swirl vinyl and is the first Super7 figure to ever feature a metallic swirl. He has Yellow and metallic silver sprays and stands 4″ tall. Available here! This adorable little critter was designed by Josh Herbolsheimer and is cast in yellow and brown vinyl, with gold, brown and red sprays. Available here!